The fact is there is no rainy season in Punta Cana as one might know it from other countries. 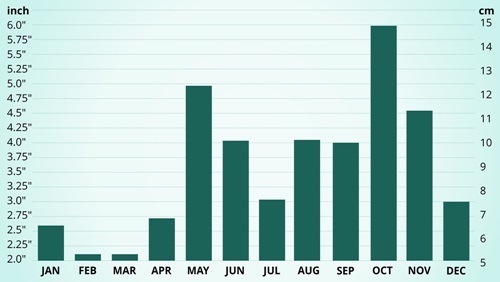 Some months certainly receive more amounts of rain. There is however plenty of sunshine year round. From May through October the rainfall is more intense and leading to greater rainfall amounts. Basically it rains the same amount of time year round only during some months there is more water coming down in shorter period of time.